Take a look at the amazing 5,400 square foot fitness center that Eighth and Grand Apartments residents will soon be able to enjoy. Custom-designed by The Wright Fit, a national lifestyle brand and industry leader, the fitness center will mark TWF’s second location in Los Angeles (the other is at 10000 Santa Monica Blvd. 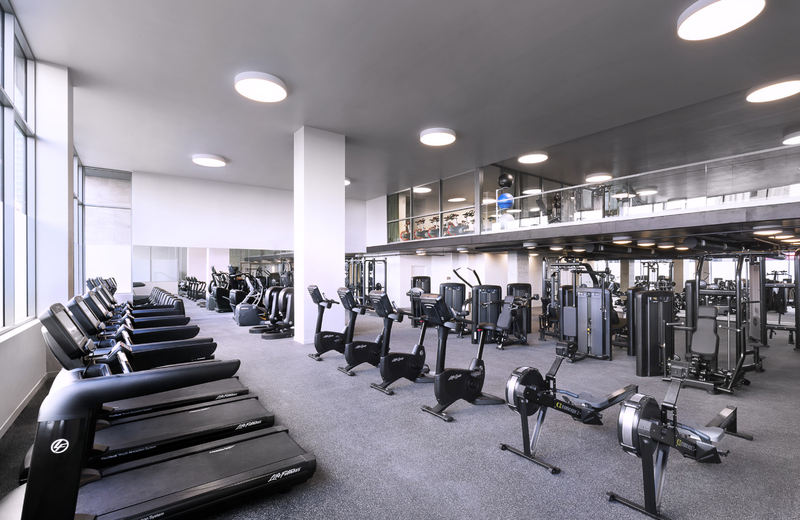 in Century City) and will include the latest state-of-the-art weightlifting and cardio machines. The fitness center will offer curated studio classes by the city’s best fitness instructors who will be on hand to assist residents with personal training, soft tissue therapy, massage, acupuncture, neuromuscular techniques and nutritional guidance. Whether you prefer yoga, boxing or basketball – however you like to break a sweat, you won’t have to look any further than your new luxury apartment at Eighth and Grand.